The mission of The Delaware Company is to promote and support the history and historic landmarks of the Upper Delaware River Valley through education, outreach, and fundraising. Also speaking were U.S. Representative Chris Gibson and NYS Legislator Aileen Gunther. The audience consisted of various county and local officials, municipal historians, historic organizations, and at least one teacher, a true sampling of the history community in the region. The text below served as the basis for my talk which was significantly ad-libbed to tailor it to the people I had met and the speakers before me. I look forward to the future actions by this enthusiastic and committed group of people dedicated to preserving the historic and cultural heritage in a very scenic portion of the state. Thank you for inviting me here to speak to you and to be part of this effort to fund The Delaware Company. Although I have never met John Conway before, I appreciate his giving me this opportunity to talk with you about education, community, and local history. What can you do here to strengthen the fabric of your community through learning about its heritage? Suppose you wake up one morning and you find yourself in a Marriott. There is a Starbucks in the lobby and you can see the Interstate nearby. Where are you? You know it’s America because I said Interstate but where in America? OK. LetвЂ™s make it easier. As you gaze out your window looking for a place to eat -В whatвЂ™s that you spot in the distance? Look, itвЂ™s an ApplebeeвЂ™s, and next to it a DennyвЂ™s. Why there is even a McDonalds. ItвЂ™s just like home. Maybe you are at home and donвЂ™t even know it. What has been the impact of the chaining of America on the communities of America? Once upon a time, every community had a Bijou. Now how far do you have to go to see a movie? To Blockbusters to get a video? To the mailbox to get your DVD from Netflix? To your computer, your laptop, your tablet, your cell phone? Remember when movies were a social occasion and not something you did alone? When entertainment meant being with other people in person and not just being digitally linked? WHAT ARE YOU PEOPLE All DOING HERE ANYWAY? IN AN HISTORIC MANOR? TOGETHER? CouldnвЂ™t John just have streamed these talks to you so you could watch them anywhere and at anytime? Then you could eat your own food in your home and just make a donation online. Think how much easier life would be if weddings, graduations, and Thanksgiving could be done digitally instead of the old-fashioned way! There is a cost to pay for the chaining and digitizing of our lives in the rush to become the matrix generation, from the movie where we are strapped to our chairs imagining a world which doesnвЂ™t really exists through sensory inputs to the brain. I have here in my hand a newspaper column which I cut out. Yes, it is from a real newspaper and I used real scissors to cut it and not a mouse&#8230-but I havenвЂ™t pasted it anywhere yet. I didnвЂ™t know I would be reading an article on this subject when I picked up the paper. On the web, we hunt for data. Data is our prey. We know what we are looking for. With the newspaper, you never know what you will find as you turn the pages. The web is for extracting data in the hunt, newspapers are for thinking. The column is вЂњAll the Lonely PeopleвЂќ by Ross Douthat of the New York Times. His topic is the leading cause of murder by gunshot in America &#8211 suicide. He cites the work of University Wisconsin sociologist Brad Wilcox who observed the correlation between suicide and the weakening of social ties. The more disconnected one is from the core institutions of society, the more economic prospects diminish, the greater the chances of suicide, especially by men. Douthat asks if in 21st-century America, this retreat from community can be reversed or whether our future is one of more and more people disconnected, anxious and alone. He thinks the pessimistic trend is more plausible. While he is not writing about local history nor does he even mention that term, he does allude to it. He notes that for many people the still strongest forms of community are the traditional ones. By traditional ones he means community forged by shared genes, shared memory, and shared geography. He doubts whether Facebook or a government bureaucracy is capable of compensating for the withering of these traditional threads which bind us no matter how well-meaning the government or Mark Zuckerberg might be. The fabric of society is an organic one and its unraveling may leave us without roots to hold us or dreams to inspire us. Douthat suggests that as the sense of community whithers, that in times of trouble be it from Sandy, Irene, Lee, Kathrina, a twister, a fire, 9/11 or whatever tragedy befalls an individual, the specific focus of his column, that there may be no one to help you through the night, to keep you company until the light of day, to comfort you when you are afraid, leaving you frightened, anxious and alone so that when there is nothing left you reach for a way to end it all. We are a storytelling species. We always have been. ThatвЂ™s part of what makes us human. And we love to tell the same stories over and over again. You know the one we always tell about Aunt Mabel or Cousin Billy. How many time have you read the same story to your child, watched the Wizard Oz, complained about that bad call by a ref or an ump? We tell the same stories at every family gathering because those are the shared memories which make us one family. We tell the same stories at every Thanksgiving because those are the shared memories which make us American even though we are not descendants of anyone on the Mayflower. We tell these stories because in the telling of them we connect with others, we strengthen our bonds with others, we knit the fabric of the community that defines who we are and who will be there for us when we are in trouble. Besides the stories of family and religion which sustain us, I would like to turn to two secular public institutions which also are or should be part of our story: our schools and our local history. Every community has a school- there is nothing particularly unique about you having one in your village, town, or city. What is different is that is your school. Paid for with your local taxes. With your mascot. With your school song. With your school photographs of your graduation, your childrenвЂ™s graduation, your grandchildrenвЂ™s graduation, maybe your parents graduation, and your grandparents graduation, all lining the halls of your school. They are your trophies and your pennants and your school plays. It is your community, part of who you are. Once upon a time the school and local history were partners. Remember the proverbial 4th grade field trip. Now the social studies curriculum is being rewritten for the first time since 1996. What will the place of local history be in the new curriculum? What will the place of civics be in the new curriculum? What role will the schools have in fostering the social fabric of the community in which it is located? These issues are still being thrashed out but we are approaching the moment when we will learn what Albany will mandate for all the schools of the state. And what is the role of the history community in this process? By state law, every municipality is required to have a municipal historian. That means every village, every town, every city, and every county. Your own county historian invited me to speak here. The municipal historian is an unfunded position mandated from the state. Not every municipality has chosen to comply and the $20/month penalty for non-compliance is not assessed. Some get around it by designating an organization like the county historical society as the historian rather than a specific person. Some just donвЂ™tвЂ™ appoint anyone. Even when there is a person, the appointment varies from full-time to part-time to whatever hours you want. Sometimes the position is paid, oftentimes it is not. Sometimes the person has a budget, sometimes not. The municipal historian should be the storyteller in chief of his or her community but in practice that tends not be what occurs. 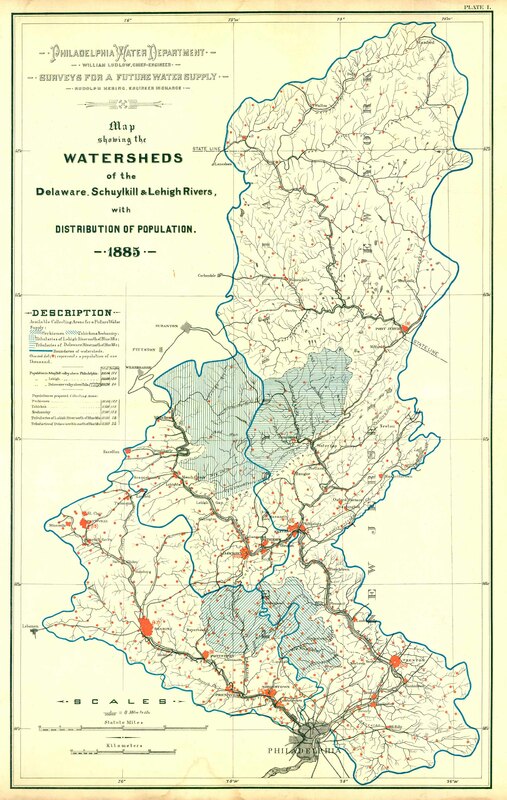 The Delaware Company working with the Sullivan County historian and perhaps his counterparts in neighboring counties seeks to fulfill that role in the Upper Delaware Valley. So what should this new venture do here in the Upper Delaware Valley? Here are some action items for our agenda. 1. Every county should have a county history conference. We are social animals and we need to have venues where we can come together as a group. The county history conference brings together the history community of the county, the municipal historians, the historic organizations, the social studies teachers, the history scholars, the friends of history, and the county tourist department. They come together to hear talks, see displays, break bread, discuss plans and issues, and recognize past achievements. 2. Every county should have a high school county history conference. This is where the students from the high schools of the county give presentations on local history. This is part of connecting the youth of the county to the heritage of the county. Now instead of just driving by some site, they will have learned something about it. 4. Every county should develop a path through history. I am expropriating the term from the state project which unfortunately is not designed to create actual paths and provides no support to do so. You are on your own. Still it can be done. It takes time, it takes effort, it takes planning, but you know your county best. If you wanted to showcase it to outsiders what would include? What places would you go to and what would you do when you got there? Try this out on yourselves. Try it out with your teachers. And once you have figured it out, join forces with the other counties of the Upper Delaware Valley and create a regional path. Now you will have tours your tourist department can take to the tour operators. The challenge is to make the people of your community feel connected and that they are part of something larger than themselves, that they are not alone. By celebrating your heritage you celebrate your self. And as you celebrate your past, warts and all, you strengthen the fabric of your community, you connect to people as students and as adults, to those born here and to those who move here. I wish you well on the journey which you have now begun and thank you for giving me this opportunity to share my thoughts, hopes, and vision with you. I wasn’t able to attend the fundraiser so I’m grateful for the opportunity to read this. I was just thinking recently about the disconnection we experience and this reinforces what I’ve been thinking. It’s intriguing to consider how life has changed because of technological advances. I’ve been compiling my family’s history to understand how our ancestors lived and what hardships they endured. Hopefully it will give our children a sense that life can be difficult but that there is a connection between their efforts in school and their community, and how they can succeed in life. I was very impressed with the turnout and enthusiasm at he kickoff event. This is a real grassroots effort seeking to involve all the members of the history community within its region. I think there was a strong desire to connect people including the children to the history and culture of the area and I look forward to additional events by this group. I am sure that you will have additional opportunity to participate in Delaware Company events in the future. Good to hear from you. I think you are exactly right. In previous posts I have written about Community heritage days and weekends and suggested some of the types of events which should be held. I refrained from calling for a statewide day for such programs because some communities do things already and may tie them in to an anniversary date of some kind. But perhaps you are right. 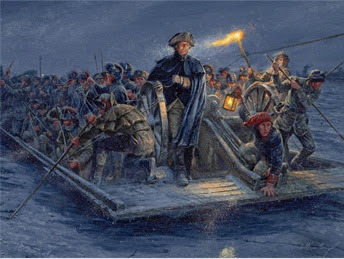 We already have New York History Month, New York Museum week, and of course the extraordinarily successful Path through History weekends which galvanized the tourist crowd as no other endeavor has. 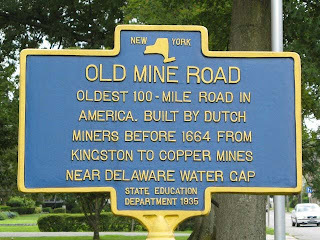 Perhaps it would be better and ultimately more beneficial for the Governor to designate New York History Month or some other period as time when all the municipalities in the state are encourage to celebrate their own heritage. That certainly be a worthwhile vision. Thank you for your moving words. It is nice to know that the posts touch people. The more we are in touch with our surroundings the more connected we are to our heritage and our present. Normally one would not associate the Strawtown Art & Garden Studio with a history blog but that only shows the limitations in how one perceives history.